This weeks adventure brought the All Access staff back to Spectacle Island. 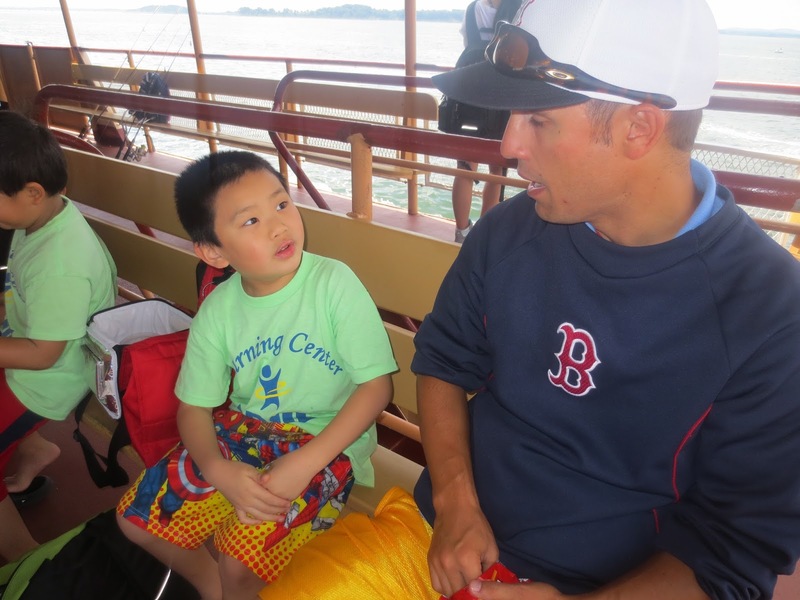 While at Spectacle Island, the kids were involved in numerous activities along the island. 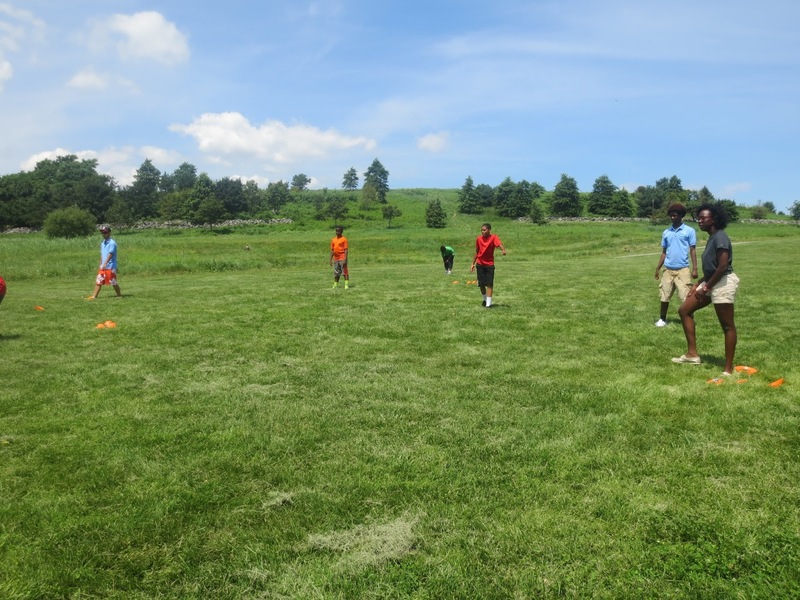 The activities included searching for sea glass, fishing, playing kick ball, wiffle ball, frisbeach, or taking a quick swim. Our fun started once the various youth groups arrived at the Bank of America Pavilion. Once we board the Provincetown II, we began interacting with the kids. This one kid that stood out was boy by the name of Donald. Donald was part of the Ideal group. Donald was quite the expert in Legos and Marvel Comics. After talking with Donald, it made me want to build Spiderman out of Legos. 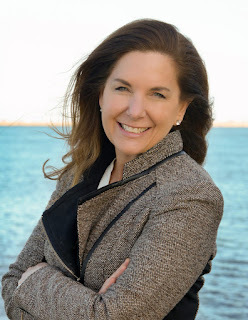 Once we arrived at Spectacle Island, It was time for the fun to continue. Some of the staffers and I headed up to the grassy meadow with the kids from Hyde Park. Before we even reached the meadow the kids were asking if we could play kick ball. Guess what,we played some kick ball! Here's my awesome kick ball team that comprised with the kids from Hyde Park! This was such a nail bitter of a game as each team scored lots of runs. Once the game came to an end, the kids showed that no matter what the score was it was just about having fun. All of the kids decided to shake the hands of their opponents to wish them a good game. That to me showed great sportsmanship. After playing some kick ball it was time to go for a swim and of course play some frisbee. 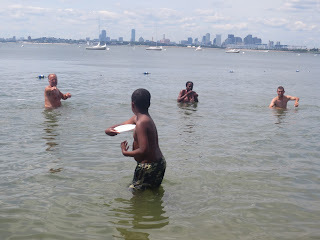 Once the staffers and I were in the water the frisbee playing began. 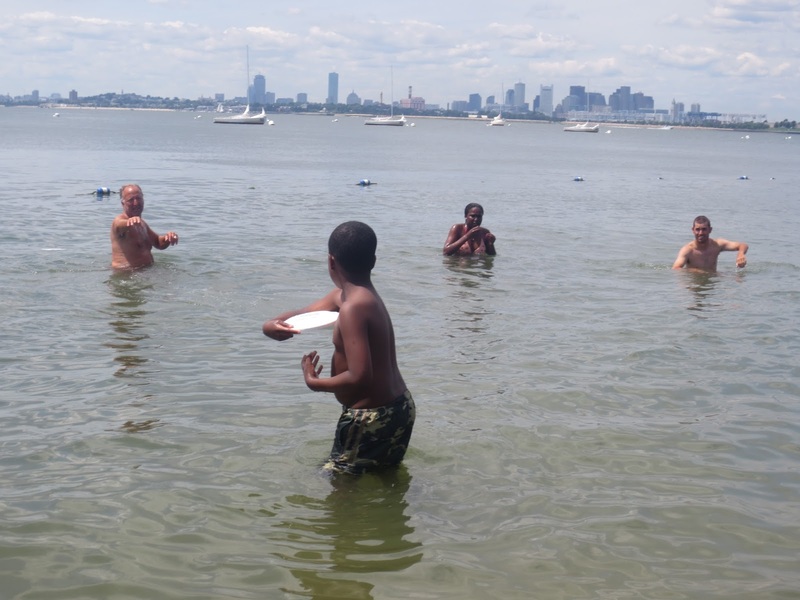 The youth groups that were swimming at the time join us for some frisbee fun. Having some Frisbee fun in the water. See ya next week at George's Island!